I was recruited by national mental health charity SANE Australia for a three-month contact as a Media Advisor at the end of 2017. In this role, I managed the day-to-day activity of SANE’s StigmaWatch program, which promotes responsible reporting of mental illness and suicide in the Australian media. I worked closely with Mindframe Media and the Australian Press Council to ensure that the quality of reporting and portrayal of both suicide and mental illness was sensitive and responsible. This involved working directly with media outlets and building a collaborative relationship with the StigmaWatch community to understand how coverage that stigmatises mental illness or irresponsibly reports suicide can impact people’s lives. As well as managing StigmaWatch‘s reports and campaigns, I also prepared content for SANE’s website including marketing materials, printed materials and social media strategy. 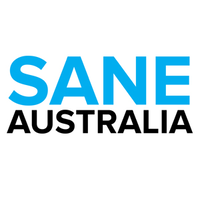 As a result of my success in this role, I built an ongoing relationship with SANE Australia, and regularly work in-house for them as a digital content producer and social media strategist. I write, edit and proofread a wide range of communications – from detailed fact sheets and guides on mental health, mental illness and suicide-related issues to promotional content for the SANE Blog, Media Centre, community forums and social media channels. Below is a range of content that I have written, edited or helped develop. BPD: what does recovery look like? SANE’s Cameron on How ‘Mad’ Are You? Can exercise help manage symptoms of bipolar disorder? To help raise awareness of SANE’s StigmaWatch program, I rebuilt the Stigma Files blog and created a new template for reporting outcomes. I conducted Q&As with the StigmaWatch community to produce content that provided a firsthand insight into why they chose to report to StigmaWatch and how they thought SANE Australia could support media professionals to make informed choices about the language and images they use and the messages they convey when reporting on mental illness and suicide.